For thousands of years China has had an advanced, professional civil administration, long before any other nation on earth. To become an official was the dream of many Chinese as it was the one sure route to esteem and a quiet, cushy life. When the European missionaries first came to China they were greatly impressed by this meritocracy, back home the corrupt system of personal patronage was the only way to acquire a position of power. To be appointed to a government post in the Imperial civil service a candidate had to show proficiency in the public examinations. We have a whole section dedicated to the details of the examination system. The open and fair examination and administration system impressed the Europeans so much that soon enough these ideas began to be copied back home. A lavishly illustrated book covering all aspects of China not just 'symbols': traditions, scenic sights, festivals, arts, legends and famous figures. The text descriptions are a little short but it does give a very good general overall coverage and the photographs and illustrations are very good. Boys, perhaps as young as eight years old would learn by heart the basics of the written language from such books as the Three Character Classic. Already they were set apart from the mass of illiterate people. Their education then took in mathematics with numerical problems to solve. Even a bright student would need to study up to the age of 30 to prepare for the top level of examination. However the examinations selected not just on knowledge but also on acceptance of the philosophic orthodoxy. Novel interpretations of the Classics rarely won favor and so the system stultified intellectual inquiry and development. Schools and academies passed on knowledge to the next generation of officials. Having an official in the family was a distinct advantage as they could give guidance on questions likely to come up and which answers were expected. Working in the house of an official was also a good way to learn all about how to become an official and so a job working there was a prized opportunity. 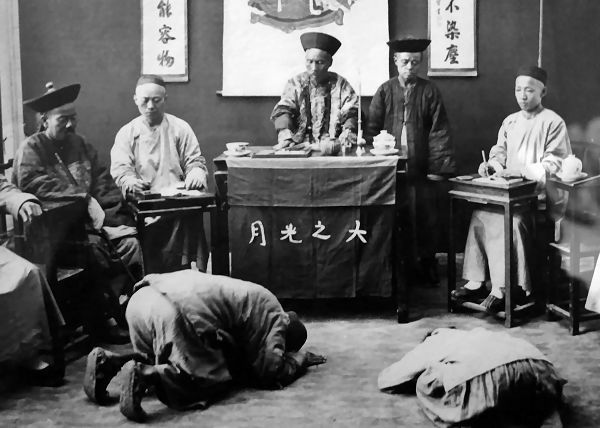 Officials were supposed to be recruited on merit through the Imperial examination system but many did receive appointment due to family connections and bribery. Someone from a humble background of an unknown family was very unlikely to pass the three stages of examination without the backing of a powerful patron. Once they passed the examinations they would join a pool of courtiers awaiting an appointment and undertake menial duties. Once appointed they entered a probationary period. A report appraising junior officials was written so that their performance could be assessed. Their grade determined their stipend and they were paid in grain, coin and silk depending on circumstances. Officials aspired to jobs in central government and may be even run one of the nine ministries of state. Most official appointments were for three years, this was important as it did not allow enough time for the appointed official to set up a local web of corruption. 官宦 guān huàn; 官 is the character for an official; it is a representation of a bending body before his masters. The official court language used between officials was 官话 guān huà . From this came the term ‘Mandarin’ for a high official and the official Chinese language from the Portuguese word ‘mandar’ meaning to command. In Han dynasty times there began an initiative for appointments to be on merit rather than patronage. Twenty orders of seniority were created and only the top 'marquis' grade was hereditary. Twelve of the grades were intended for officials not the aristocracy. If an official committed a crime they lost their post and became an ordinary member of the public again - their immediate family could be used as slaves. At this time about 1% of population lived as 'property' of an owner, although a slave owner had limited rights over their slaves there was no mechanism to become a freeman. By the Tang dynasty the last vestiges of the old feudal system had gone. The aristocracy consisted of the large imperial family who ruled over vast estates. 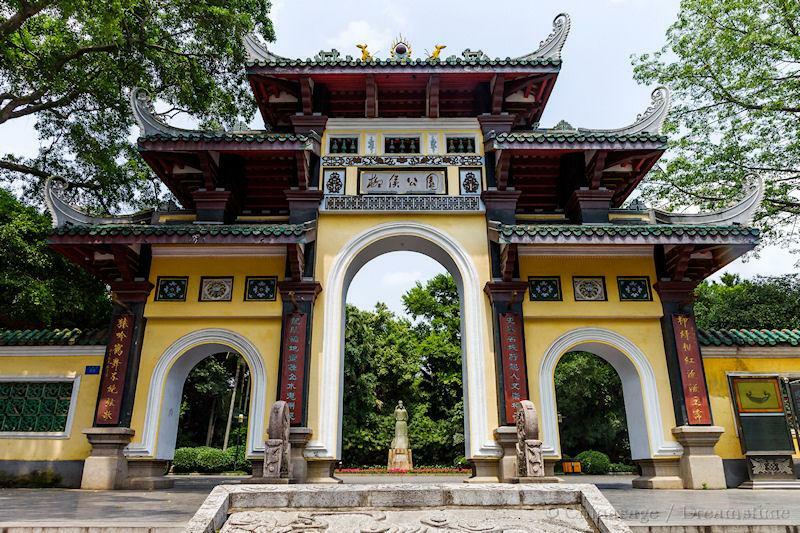 It had nine levels of nobility with the top three reserved for the royal family (1st class prince or king (王 wáng); 2nd class prince or king and 1st class duke). The salary for each grade was fixed to the tax due for a number of families (10,000 families for the top grade; 300 for the lowest). The Emperor could appoint ordinary people to the bottom six grades as a reward for service. The nine levels of nobility were mirrored by nine levels of civil administration (九品 jiǔ pǐn), appointed on merit. The founding Tang Emperor Taizong set up a re-invigorated examination system to root out patronage and nepotism. Both the aristocracy and senior officials were exempt from taxation - a useful benefit. Officials had little local power and independence, it was a very centralized system and is aptly described as numerous villages ruled by the Emperor - a very flat power pyramid. Some emperors took it upon themselves to select candidates for even junior positions. The Emperor met with a Council of State every day to discuss matters of the day. There was also a Cabinet or Inner Chancery. Beneath these two bodies were six ministries (civil service, revenue, rites, defense, justice and public works). Five ranks of nobles were instituted. The Chinese had a novel system of hereditary, a son inherited a grade one level lower than his father. This prevented the system accumulating more and more people at the top. It gave the incentive for the son to serve the emperor well in the hope he would soon be promoted to his father's grade. However the family of Confucius was exempt from this rule and maintained the highest rank. The ranks were Duke 公爵 gōng jué; Marquis 侯爵 hóu jué; Earl 伯爵 bó jué; Viscount 子爵 zǐ jué and Baron 男爵 nán jué. There was also the position of Viceroy 总督 zǒng dū who had full civil and military control over a province or group of provinces. Each province would also have a treasurer; a grain superintendent; a salt superintendent (salt was a government monopoly and useful source of tax) and a chief judge. The administration was divided into ministries that covered the whole nation: finance; rites; defense and justice. There was no independent judiciary so there was no chance for an individual could raise an official complaint against the government. Six ministries administered the prefectures 州 zhōu (282 in the Qing dynasty) and under them counties 县 xiàn . A group of villages was administered by a magistrate 地保 dì bǎo or 知县 zhī xiàn (1,477 in the Qing dynasty) living in his yamen 衙门. He was the person responsible for maintaining peace and justice as well as collecting taxes in a district. He would have various deputies to help him and each village would have a headman. However the system over the centuries became corrupt and inefficient. It remained heavily centralized with limited local autonomy. It became so strictly regimented that it had a total of 98 different grades and a board game ➚ 升官图 Shēng guān tú was even played which was similar to 'snakes and ladders' where players rolled dice to try to reach the top grade (状元筹 Zhuàng yuán chóu was another game ➚ named after the top graded official). An official came to be paid barely enough to live on, to maintain a decent standard of living he took bribes and a cut of the taxes within his jurisdiction. The low salary may have discouraged neglect and indolence but it did lead to corruption - particularly by inventing local taxes. This was a significant factor in the downfall of the Qing, the system of control had become too corrupt to properly institute the necessary reforms. The examination system had also become corrupt with rich families buying qualifications for their sons. In the Qing the Imperial administration (内务府 nèi wù fǔ department) the Manchu nobles held the top posts became very powerful and corrupt. Their sole source of income was the Imperial budget and hundreds were paid to do the job of one person. The officials understood their predicament and resisted the reforms to reduce the expenditure and the size of the Imperial household. Officials came to expect a sizable proportion of all money that passed through their hands. Everyone colluded with the system to inflate Imperial costs and take their cut. They acted in self interest rather than the best interests of the Emperor or the country. The import of cheap, strong British opium had a devastating effect on the Imperial Civil Service, as the officials became hopelessly addicted it had the effect of paralyzing administration. (A hard-hitting satire on the state of late Qing dynasty at this time ‘Cat Country’ was written by the reformist writer Lao She in 1933). Xinhua Gate is the main ceremonial gate into the Zhongnanhai complex of government buildings, Beijing. 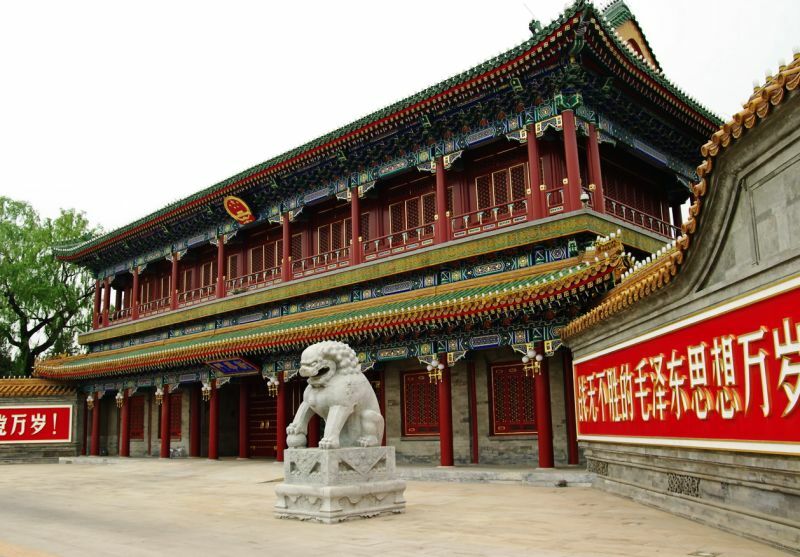 The sector is located just to the west of the Imperial centre of government the Forbidden City. Image by Bgabel ➚ available under a Creative Commons license ➚. The current government of China follows ancient precedent and style. There was also a strict hierarchy of female officials who served at the Imperial Palace. 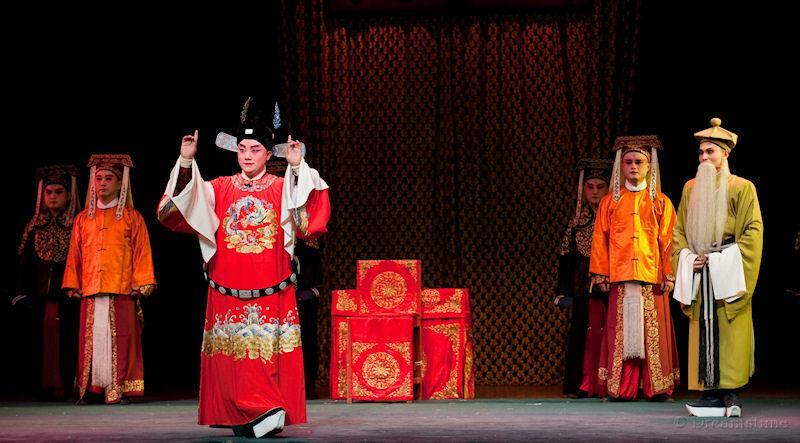 By the Tang dynasty there were 19 grades of women drawn from the large number of concubines and their female servants; this was necessary as only castrated male eunuchs were allowed to reside in the Forbidden City. Their duties can be broadly described as domestic service: beauty preparation, seamstresses and food preparation. Such a centralized and hierarchical system of government needed independent oversight. In China the judiciary was not independent so an unjust action made by the state could not be corrected in the courts. From the earliest days of control (Qin dynasty) a system of censors was introduced to perform this function of independent assessment and investigation. They formed a separate department of state: the ‘Court of Censors’ who oversaw justice and the operation of other officials and even the Emperor. They were known as 耳目官 ěr mù guān ‘Ear and eye officials’ and wrote ‘memorials’ that were sent direct to the Emperor. They would make enemies of the people they exposed as corrupt; often their targets would be the Imperial eunuchs and with their special relationship may be powerful enough to sway the Emperor against the reports by the censors, as in the case of Yang Lien (d. 1625). They were often called upon to analyze what went wrong and help formulate future policies. There was a long history of officials trying to conceal calamities and using bribes to stop the true situation reaching the Emperor's attention. However it was often the case that the censor's criticisms came out long after the event and so had little value in quickly putting things right and it was a bold man to censor the actions of the Emperor as although the censor could not be put to death he could be demoted. The head of the censors was the 御史大夫 Yù shǐ dà fū or later 都察院 Dōu chá yuàn. An official would only spend a short period of time as a censor and would not be appointed to his local region so he could act independently. Once appointed the life of an official was highly constrained. Typically an official would be sent to a series of remote provinces for terms of three years. Both the remote location and limited term were crucial measures to limit corruption. 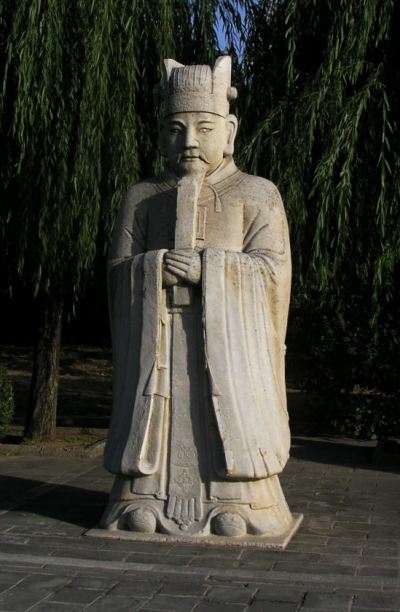 An official would not take his parents with him when taking up the post, as he may have conflicting demands from father and Emperor - a dilemma for anyone following the Confucian philosophy. Officials were often moved between departments and rarely had a career in just one form of administration. An official would not have local contacts to tempt him into making decisions and appointments based on personal patronage, the limited tenure also combated corruption as his successor would likely report any misdemeanors. 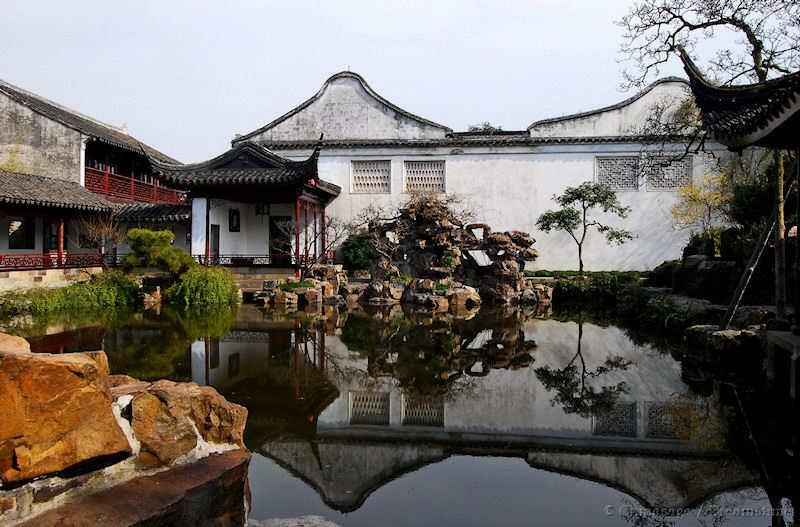 Classic Chinese garden in Suzhou of Song dynasty style. An administrator's private garden. A job as an official offered a rare secure income, respect of the community, exemption from conscription for public work construction projects and military service. On retirement a lump sum bonus was issued or in rare cases a final salary pension continued to be paid. The work was not arduous with ample time to pursue scholastic hobbies such as calligraphy; poetry; weiqi and music. A guiding principle of officialdom was that if the correct appointments have been made then the whole system should work like clockwork with little need for effort to maintain it. The first Chinese visitors to Europe was surprised by the relentless hard work of officials and politicians which contrasted to the more laid back life in China. Westerners considered that the motto for an official must surely be 'Go Slowly'. The magistrate would be housed in the Yamen in a town or city. It contained accommodation for the official and his family, reception rooms, a law court and often prison cells. For a detailed insight into the life of a member of a scholarly family in late Ming dynasty, Jonathan Spence's Return to Dragon Mountain ➚ is an excellent resource. It describes the life of the Ming historian Zhang Dai ➚. A magistrate was the chief instrument of government in his fiefdom with responsibility for civil and criminal justice as well as taxation. If an official was censured by the Emperor he would lose his post, and sometimes his life, but quite often the Emperor would commute a death sentence to exile to a remote province such as Xinjiang or Hainan. At the end of the period of exile the Emperor would send him a ring. If it was a complete solid ring, they were forgiven and could restart their career, if, however it was a broken ring then their career was at an end. A Mandarin's House, Beijing. 1874. [Note how women and children occupy the upper floor, men the ground floor]. Image by Google Cultural Institute ➚ from The J. Paul Getty Museum available under a Creative Commons license ➚. The etiquette of official life was highly regimented, an official would have a carriage, clothes and seal according to strict rules for his grade. A servant would beat a drum or gong to clear the way for the official who followed him. The number of beats of the drum indicated the seniority of the official ranging from 13 for a viceroy to 7 for a magistrate. This allowed other officials to show due deference. A lower ranking official had to stop and make way for any higher ranking official. To avoid having to get out of his sedan chair and formally greet each other an official might hide his face behind a fan. All senior officials had a seal of office including magistrates residing at their yamens. The emperor had a seal made of jade; viceroys and high provincial officials have oblong seals made of silver and used mauve colored wax. Salt commissioners had copper seals and used vermillion colored wax. Lower officials used square wooden seals 戳记 chuō jì. During periods of Imperial mourning all seals changed to use blue wax. They were stamped on all dispatches, deeds and important documents, showing that the document had been approved by the appropriate official. This precious item was often left in the safe-keeping of the official's wife, the loss of a seal was a very serious offense which would often lead to sacking and demotion - because of possible fraudulent use of the seal. The seal became potent enough to be seen as a talisman that would keep evil at bay. As appointment to a civil service post was such an important goal in life, there are quite a number of symbols that were painted on objects to convey a wish for an appointment as an official. In pictures an official is often associated with the text 天官赐福 tiān guān cì fú ‘may the high official grant you good fortune’. 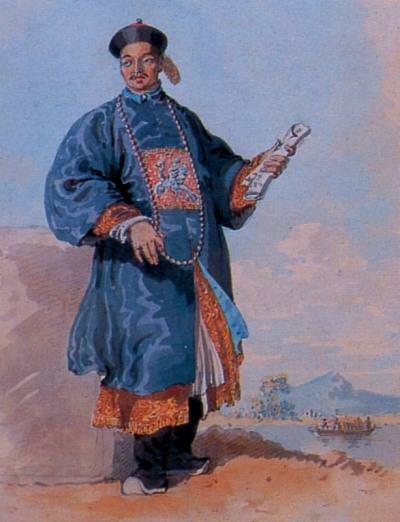 William Alexander's portrait of the official Qiao Renjie who accompanied the 1794 British embassy. In the Manchu (Qing) dynasty there was a strict dress code by which the grade of an official could be quickly and easily determined. Knowing the relative seniority allowed the due protocol to be obeyed. The colored button on top of official's hat was a clear clue as well as the color and design of the coat and belt. A 带 dài was in the form of a leather belt with a metal buckle and to the belt were attached the various accoutrements of the scholar or official: a writing brush; a fan and a purse. The toggles used to fasten the cord holding the item to the belt can be highly ornate (similar to the Japanese netsuke ➚). It is often made of jade. A 'mandarin square' or bu zi was an embroidered panel that also gave the rank of the official. The top button is of fashioned gold, with an oblong bead on top made of red coral. The coat was purple with square plaque on chest and back embroidered with white crane (or qilin for military officials). The belt has four agate pieces with small rubies. The top button is of fashioned gold, with a red coral bead on top of a ruby. Coat has an embroidered golden pheasant (or lion for military officials). The belt has four pieces of gold with small rubies. The top button of fashioned gold, with clear blue sapphire bead on top. A Peacock plume with one eye. Embroidered panels of a peacock (or tiger, panther for military officials). The belt has four pieces of worked gold. The top button is of fashioned gold, with lapis lazuri bead on top of clear blue sapphire. Embroidered panels with a goose (or leopard for military officials). The belt has four pieces of fashioned gold with a silver button. The top button is of fashioned gold, with clear rock crystal bead on top of rock crystal. Embroidered panels with silver pheasant (or black bear for military officials). The belt has four pieces of fashioned gold with a silver button. The top button is of white shell, with blue plume. Plaques embroidered with egret (or panther for military officials). The belt has four pieces of tortoiseshell with silver button. The top button is of plain gold, with another gold button on top of a clear crystal. Embroidered panels of mandarin duck (or panther or rhinoceros for military officials). The belt has four round silver plates. The top button is of fashioned gold, with another gold button on top. Embroidered panels of quail (or rhinoceros for military officials). The belt has four pieces of white horn with a silver button. The top button is of fashioned gold, with another gold button of chased gold on top. Embroidered panels of flycatcher (or sea horse for military officials). The belt has four pieces of black horn with a silver button. Plaques embroidered with oriole. The symbol for longevity (shou) engraved on the button of the higher grade to separate into two upper and lower divisions. Only as late as the 19th century under the Qing there developed a custom of using peacock feathers as a means of distinguishing people of outstanding merit. 花翎 huā líng has one, two or three peacock eyes denoting grade. Whereas a minor military honor was indicated by a blue feather 蓝翎 lán líng from a raven's tail. Honors such as these could be withdrawn at any time. 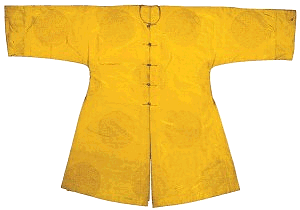 The Yellow riding jacket 黄马褂 huáng mǎ guà was another honor bestowed on people of great merit, particularly for military success in late Qing times. Normally only the Imperial family could wear yellow apparel. It was given to high ranking officials and worn in the presence of the Emperor it was made of silk with blue sleeves. It permitted the wearer the honor of riding a horse through the outer Forbidden City. In the Taiping Rebellion it was conferred on Zeng Guofan, Li Hongzhang and the Englishman General Charles Gordon ➚. The dragon was the Imperial emblem and could only be used by others under strict control. The number of claws of the dragon indicated precedence. Five claws for the Emperor himself, four claws for his close relatives and three claws for high officials. As with the other codes of etiquette, someone breaching them would be dismissed and sometimes executed for impudence. A high official would have a pair of stone lions guarding the entrance to his mansion. The number of coils of hair in the mane became a guide to seniority, the more curls the higher the rank of seniority. It was traditional for the well off to let one or more finger nails grow up to two inches in length (both men and women). This advertised to all that they were not engaged in any manual labor and had servants to do everything for them. Special silver guards were used to protect them from damage. This tradition applied to aristocrats as well as officials. 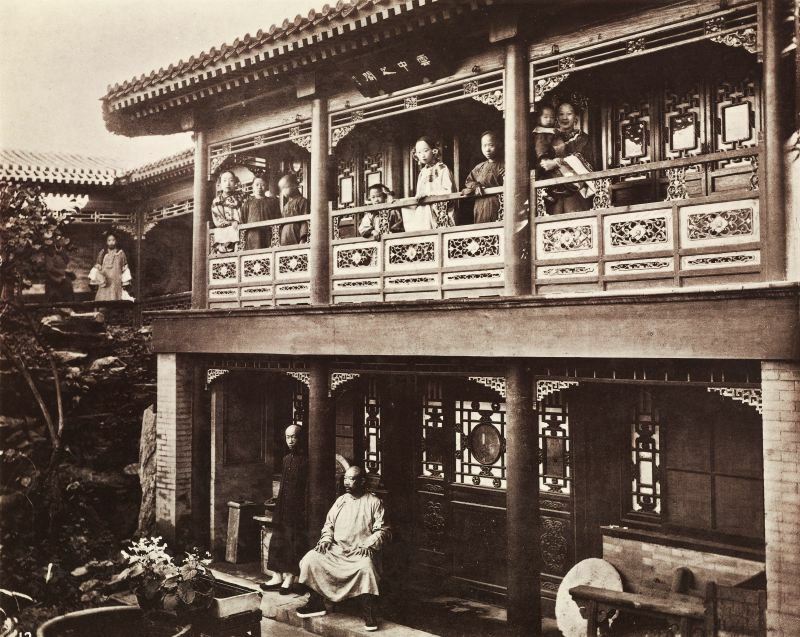 Citation information for this page : Chinasage, 'Imperial officials in dynastic China', last updated 7 Dec 2016, Web, http://www.chinasage.info/officials.htm.